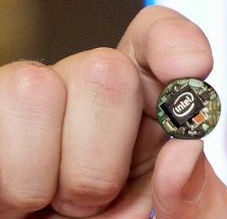 Last week we reported that Intel had eliminated its wearables division see Intel Divests Itself of Wearables. At that time we believed the news had an unofficial status, it came from an "Intel insider" rather than from Intel itself. Although Intel still hasn't issued a press release, or made any prominent post, there are two official notifications that in fact pre-date our news item and are difficult to find even if you are looking for them. Supply is limited and will be committed out to orders as a "first come, first serve" basis until supply is depleted. It reiterates the message about discontinuing the Ardino 101 board although when you click the link to the discontinuance notice a warning message appears which is sufficient to deter many people from following it. Intel is actively working with alternative manufacturers to continue to make the Arduino 101* development board available to the market. There are no further software releases of the Intel® Curie™ Open Developer Kit (ODK) planned. The support provided by Community forum extends only until September 15, after which date for two more months, after which Intel will make its online resources available for review only until July 15, 2020. I'm in a mix of sensations: shocked, upset, stunned.. we were working for a year with development a new product using intel curie, now all this work goes to trash. Now everything was simply a big fail, the money, the work of a year... very disappointed. I think you'll find many others, myself included, working on the recently discontinued Edison as well as with the Arduino 101 and custom projects reliant on the Curie and feeling similarly let down. And there are presumably some ex-Intel insiders who are also hurt and angry as well. Harry Fairhead is author of Exploring Intel Edison (I/O Press), which gives detailed guidance on how to program this remarkable device using C. He had been planning a similar book for the Arduino 101.